DETROIT ARSENAL, Mich. — The Army's efforts to prototype capabilities for a possible next-generation combat vehicle are taking shape as a collaborative endeavor between industry and the service, according to the Army's Tank Automotive Research, Development and Engineering Center's project manager for next-generation combat vehicle prototyping. Todd Thomas told Defense News in an interview Monday that the Army would meet with industry Wednesday to convey the way ahead for a prototyping effort that will kick off this calendar year with the goal of building a prototype by fiscal year 2022, followed by operational evaluation by soldiers in 2023. The Army is asking industry to form teams and deliver proposals outlining what each team believes offers the best set of capabilities for an NGCV, Thomas said. TARDEC will then award a contract to the best team around September, he said. Then the industry team and TARDEC will together design, develop and test a prototype over a seven-year period. The contract will cover an overarching scope of work, and the service will issue work directives based on needs that need to be fulfilled throughout the life of the contract. The Army and the industry team will develop two identical prototypes that will be focused "right now" toward an infantry fighting vehicle. Col. William Nuckols, the director of the mounted requirements division at the Army's Maneuver Center of Excellence at Fort Benning, Georgia, said late last year the service will assess what the next-generation combat vehicle might look like. Considerations include whether it should be developed as an infantry fighting vehicle or a single combat vehicle that replaces the Abrams, the Bradley and potentially the Mobile Protected Firepower platform or the Stryker. Thomas said the infantry fighting vehicle design will be based on a "squad-centric, mounted maneuver concept" that provides for a two-man crew and six dismounted soldiers, splitting the squad among two vehicles, "so they are going to be operating mounted as they would operate dismounted in fires teams." Experimenting with splitting the squad will be useful as the Army struggled in a previous attempt to field a new combat ride -- the Ground Combat Vehicle -- to fit the entire squad in one platform without growing the vehicle to an unmanageable size. TARDEC is also applying lessons learned from the failed Future Combat Systems program by prototyping in a more phased approach. "We are starting with the basics, where we know we really need to address certain capability needs, and we are starting in providing leap-ahead capabilities" in power, mobility, survivability and lethality, according to Thomas. 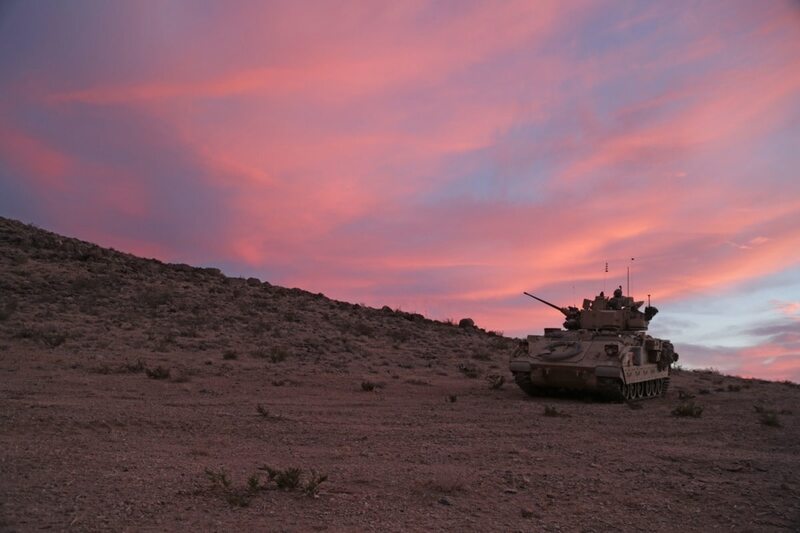 The Army has mission-enablers it would like to examine such as improved closed-hatch driving and identification, improved distributed operations at the squad and platoon level, improved 360-degree situational awareness and hostile fire detection, Thomas said. In a March 22 Senate Armed Services Airland Subcommittee hearing, Lt. Gen. John Murray, deputy chief of staff of the Army's financial management branch (G-8), warned, "We need to be careful about what technologies we count on and when we go down this [NGCV] path so we don’t end up with another program we cannot deliver." TARDEC’s plan is to design a "1.0" prototype and three to four years later bring in other technologies that are ready and aligned with the NGCV into a "2.0" prototype and so on, according to Thomas. "I think this is a strategy the Army has been missing since before FCS when we quit prototyping, which has been one of our biggest reasons for probably the recent failures that we’ve seen starting with FCS and then followed by GCV," he said. The goal, according to the Army, would be to field an NCGV by 2035, if it chooses to go that route. Fiscal 2022 will be a critical decision point for the Army on whether to move forward into a program of record for an NGCV or if it wants to continue to focus on upgrades to the current fleet of vehicles.